Made from the best part of the pork leg. It is salted, cured and dried for 6 months. 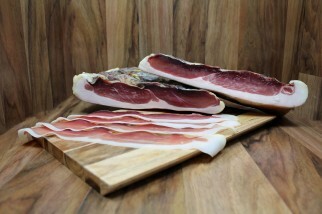 After the curing process the speck is slowly smoked off and on for 8 days straight giving a delicious smokey flavour.